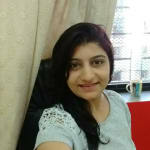 Dr. Dimple Kapasi is an experienced Physiotherapist in Kandivali West, Mumbai. She has been a practicing Physiotherapist for 15 years. She has done BPTh/BPT, B.PT . You can meet Dr. Dimple Kapasi personally at Dr Dimple Kapasi's Physiotherapy Clinic in Kandivali West, Mumbai. Don’t wait in a queue, book an instant appointment online with Dr. Dimple Kapasi on Lybrate.com. Lybrate.com has an excellent community of Physiotherapists in India. You will find Physiotherapists with more than 43 years of experience on Lybrate.com. You can find Physiotherapists online in Mumbai and from across India. View the profile of medical specialists and their reviews from other patients to make an informed decision. I found the answers provided by the Dr. Dimple Kapasi to be knowledgeable. Doing exercises but if u suggest which of the excercise (with photo) will more helpful. She is very good prompt and courteous and has definitely given me very good Advice . My sincere thanks to her. Hello sir/mam. Im having continuous back pain from last one month. I'm using pain relief spray bubut not getting relive anyhow. So please tell me what is the issue with me. I cannot bend my back easily. After long time of sitting when I used to stand there is a severe pain while standing. So please tell me what should I do. Does your job involve sitting for longer hours? If there's no history of injury or heavy weight lifting then it's purely ergonomics and lack of core strength and leg flexibility no medicines will take away the root cause only right exercises and ergonomic correction will help consult me online for detailed information with images. Hello Dr. Mujhe knee oestoarthritis hai. Homopathy medcn le rhi hoon knees mei to pain kam h but Ab legs mei pain rahne laga hai. Ankel ke thoda upar swelling h aur press karne par pain hota h.thighs par bhi swelling si lagti h aur pain h.sumtimes green veins bhi dikhti h. Pls help. Thanks n regards. Medicines do not help much except for temporary pain relief long term management of osteoarthritis is exercises for the knee. I am working as software engineer. Daily while sleeping am getting back pain what should I do. Working on computer for longer hours and assuming a particular posture for long time if your core muscles are weak would lead to such things first and foremost take break every 15-30 mins to stretch out I can send you images on how to sit and prescribe exercises to stretch out tight muscles and strengthen weak core muscles that you can easily do at home nothing can take away the root cause except exercises and postural correction. Can unstable fracture cause further damage after taking the best rest for 6 weeks? (L3 vertebra wedge compression unstable fracture) Can I start walking now after 6 weeks of bed rest? Has a Repeat x-ray been done? Are you wearing any lumbar belt? Usually 6-8 week it takes but depending on various other factors healing period varies it's important to consult orthopedic and do a repeat x-ray. Respect sir, my mother severe back pain since 4 years due to nerve pressed from hip of right leg (sciatica) and numbness & serve pain in shoulder & ankle. I have done lots of treatment against pain prescribed from many Doctors but pain is still stand, should I go for operation. Please help me. Pain medicines abdcrestvdo not help much for the sciatica pain it's a mechanical problem in vertebrates Due to compression if the nerve between the vertebrae the back and leg hurts with tingling numbness only way to cure is lifestyle change and exercises tailored for the diagnosis I assure she will feel a lot better. I have foot lain for last couple of months while standing or walking for little long. I am 21 and at 19 I used to wear high heel shoes because I am very fond of good height bhot now I came back to normal shoes. I recently have x ray if my feet which came back normal and I do have a lot of veins on my foot. Thank you. It might be possibly due to right leg muscles. If you are used to high heels and if you sit or stand in particular position it leads to tight muscles I can prescribe basic exercises to help you with the foot pain but before that you need to tell me where exactly it hurts? Me 24 years ki hu meri naak bhut moti hushe lambi or patli kaise kru ple kuch aasan or ache tips btaiye. There's no way to change the shape of nose apart from make up tricks and cosmetic surgery I would say work on your confidence and personality development that will no make you bother about physical appearances. I had a compound fracture 10 years ago, fracturing both bones in my leg. The bones are healed now, but I find it difficult to run or skip and jump due to pain in the bones and the flesh around the fractured area with occasional swelling. Please why am I still experiencing all these pain and swelling after 10 years? I am 45 years old now. Probably the muscles around the leg are tight and weak, working on the muscles with a proper exercise program will help I can send you the exercises with description. I have neck pain from last three years .i used homeopathy and allopathic medicines but no use, I did not get any relief from pain. What can I do now? Medicines give temporary relief as far as mucked and joint pains are concerned root cause need to be addressed incorrect postures in sitting and sleeping put undue stress on joints and also leads to tight muscles and weak muscles around neck this imbalance needs to be addressed to be free of neck pains. When I am bend forward or sit then I see that two bones of my spine is sticks out. want to know that what is that problem. If you are skinny the vertebrates are easily palpable. Also if you sit with a stopped posture the shape of spine changes postural exercises will help it get back in normal curve.